I've been looking for this recipe for years! My notes by the "lost recipe" said, "Terrific, Great and WOW"!! 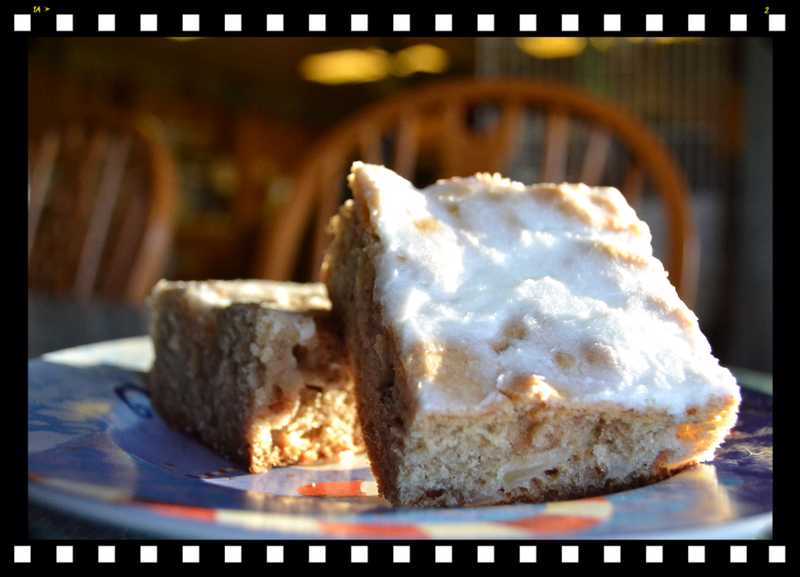 Back when our boys were still at home and attending school, Cinnamon Apple Squares was a wonderful dessert to pack in their school lunches and a great after school snack with a tall glass of ice cold milk! Cinnamon Apple Squares makes 24 generous squares, that's a lot! It's moist, cinnamon-apple, glaze covered goodness makes this the perfect cake to feed the masses! And did I mention . . . It tastes terrific, great and WOW? This recipe has been adapted from my Farm Journal, County Fair Cookbook which I received as a gift from my Momma back in 1975 . . . That would make me about 23ish at the time! Their comment, "Good dessert choice for a field lunch or snack for the crew". 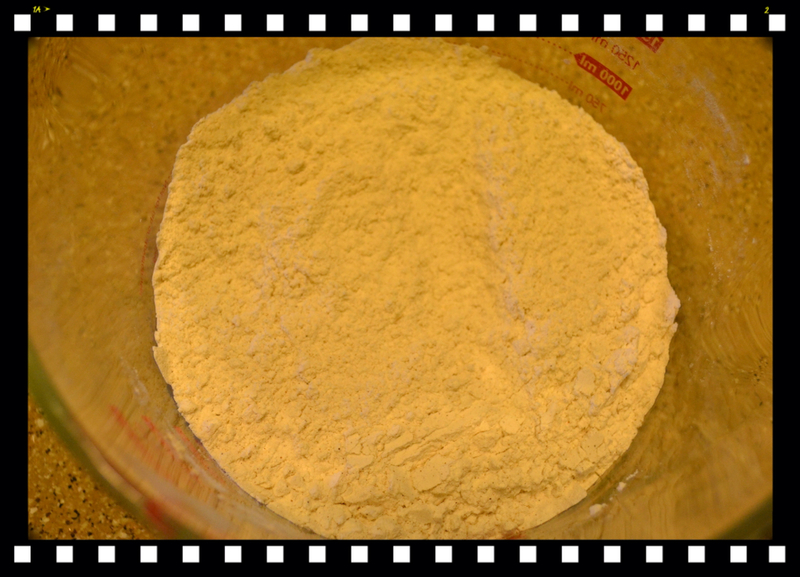 Sift together flour, baking soda, cinnamon, nutmeg, and salt. Beat together oil, sugar, eggs, and vanilla (about 3 minutes). 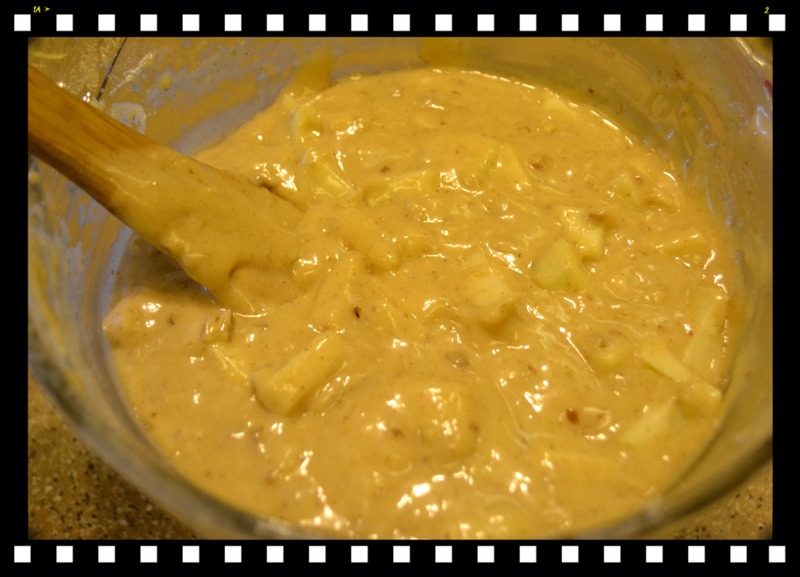 Add dry ingredients, 1/2 cup at a time, beating well after each addition. 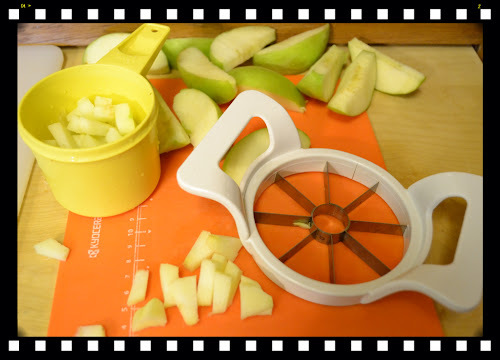 Sprinkle apples with lemon juice and toss. Pour into a well greased 15 1/2 X 10 1/2 X 1-inch jelly roll pan. Bake in a 350F oven 35-40 minutes or until tests done. 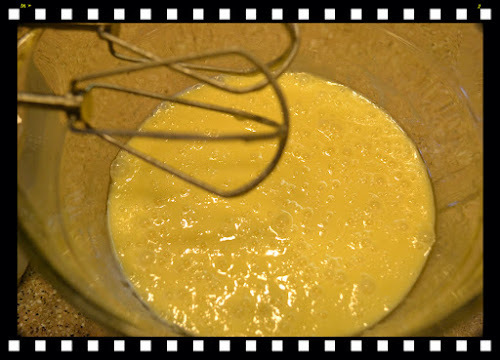 VANILLA GLAZE: Combine 1 1/2 cups of sifted confectioners sugar, 2 tablespoons soft butter and 5 tablespoons water. Beat until smooth. Prepare ingredients to make your cake. Sift dry ingredients together, whisk to thoroughly incorporate. 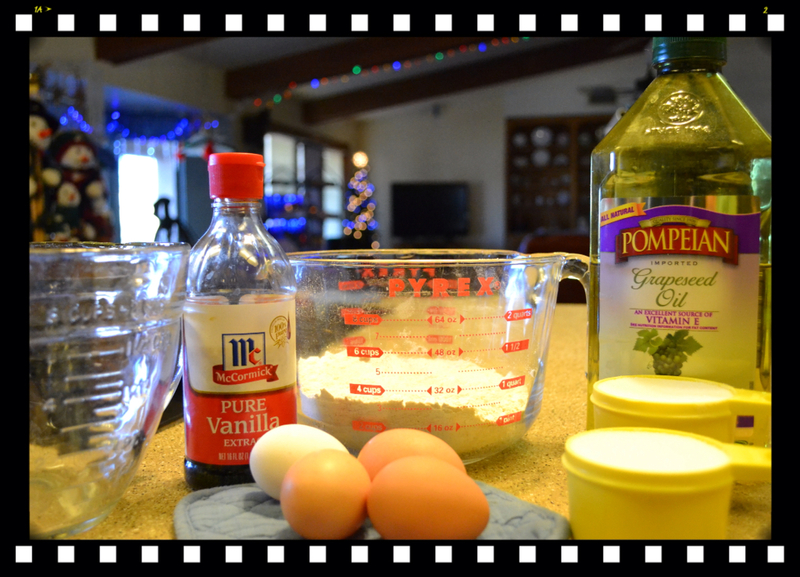 Beat oil, sugar, eggs, and vanilla together in a large bowl. Moist, Terrific, Great, and WOW . 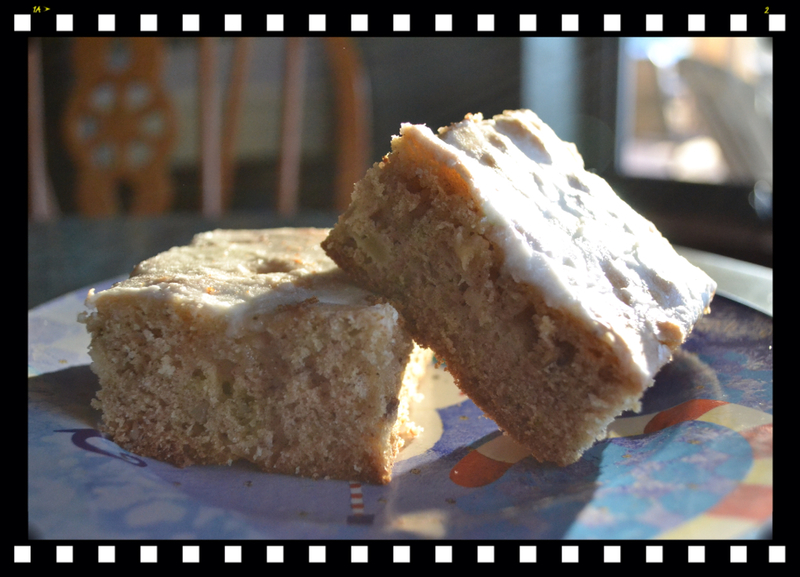 . . Cinnamon Apple Squares! Of course Will was thrilled that I'd made a moist apple cake! Was hopping A.J., Hannah and their Papa (our eldest son) could drop by for their after school snack but everyone is home with colds! Looks like I'll be making a "Mission of Mercy Delivery" to the "Sickies" . . . from Gramma/Momma . . . Over at Julie's!! !